We take a great deal of pride in not only the quality of our construction, but also the building process as a whole. Our goal is to build you the best quality home for the absolutely best price with only the finest sub-contractors and materials available to this market. 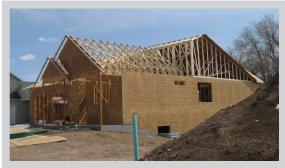 Woods Brothers Construction, Inc. is proud to offer new homes that have earned the ENERGY STAR® label. The ENERGY STAR label means that your new home has been designed and built to standards well above other homes in the market today. It means better quality, better comfort, and better durability. It also means that your new home is a better value for today, and a better investment for tomorrow. The ENERGY STAR label gives you the peace of mind that your home has undergone a better process for inspections, testing, and verification to ensure that it meets strict requirements set by the U.S. Environmental Protection Agency (EPA).